Talented teen bands will perform onstage for our renowned panel of judges for the chance to win the 2017 title and a mix and mastered recording of their live performance from the event. - Lee Dannay has over twenty years experience in the music industry, including 15 years in A&R at Sony Music. While at Sony, Lee signed, developed and worked with a variety of artists including John Mayer, Shawn Mullins, Five For Fighting, Anna Nalick and General Public. Lee then moved on to become VP of A&R for Warner/Chappell Music, with a broad and celebrated roster that included Gary Louris of the Jayhawks, Brandi Carlile, Iron and Wine, Oscar winners Glen Hansard and Marketa Irglova of The Swell Season, and others. Currently, Lee is President of GoodWorks Music, an artist development and consulting company, and is head of A&R for Thirty Tigers Entertainment Company, a Nashville based independent label. - Steve Addabbo is a Grammy nominated producer, musician, writer, recording engineer and owner of Shelter Island Sound Recording studio in NYC. Steve’s production and engineering work on Suzanne Vega’s first two albums set a new standard for the singer songwriter genre and helped pave the way for artists like Shawn Colvin, Tracy Chapman, and many others. Suzanne’s second album, Solitude Standing, with the worldwide hits “Luka” and “Tom’s Diner” went multi-platinum. Steve also co-produced Shawn Colvin’s Grammy Award winning debut album, “Steady On.” Recent projects include mixing Bob Dylan’s Bootleg X, “Another Self Portrait”, unreleased recordings from 1970, recording Bobby McFerrin’s “SpiritYouAll”, Jeff Buckley’s “You and I”, mixing all 400 + tracks from the Grammy (2017) nominated Bob Dylan Bootleg 12, “The Cutting Edge”, Richard Barone’s newly released “Sorrows and Promises” and Steve’s own debut album, “Out of Nothing”. - Dina Dessner grew up in White Plains and has been a radio presence in Westchester and Fairfield Counties for nearly 17 years, working on-air and behind the scenes. She is also a commercial voice actor, so you may not know her, but you've probably heard her voice! Dina has a passion for emerging music, and in January 2015, she developed and launched the 9:37 Local, a weekly feature on 107.1 The Peak to showcase unsigned local talent from the suburbs of NYC. The winner of tonight's Battle of the Bands will be introduced to Peak listeners when one of their songs is played on The 9:37 Local. 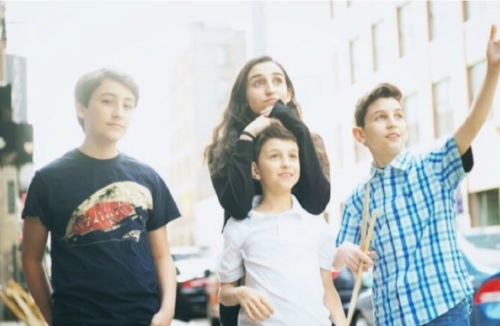 Solar Sound Band is made up of siblings Noga, Adam, and Zohar Cabo, and Eli Zane Gunther. Their music is infused with pop, rock, folk, country, and funk influences creating a unique and compelling performance. Recently, they simultaneously released their first EP of original music and their CD, which includes the originals on the EP and 4 covers. Ursula Hansberry is an Americana singer-songwriter who was born in Wisconsin and bred in the Hudson Valley. She began writing music at the age of 14 and hasn't stopped since. Ursula is influenced by Dave Matthews, Colin Hay, and Ryan Bingham. For a sixteen year old high school student, Katelin Penner's swelling indie folk carries a surprising amount of melancholy, causing comparisons to musicians such as Elena Tonra of Daughter and Julien Baker. The New Yorker's unique tone and lyrically-driven music are poignant, raw, and fresh. Blank Citation was founded in 2014, originally starting as a cover band under the name Don't Wait Up. This basement quartet includes Noah Prisament on keyboards, Dylan Hamburger on bass, Django Sibilia on drums and Charlie Freireich on guitar and lead vocals. Heavily influenced by bands such as Green Day, Weezer and the Red Hot Chili Peppers, their musical style ranges from pop punk to alternative rock. While the band's personal tastes are extremely varied -- from indie and punk to thrash metal -- this group of friends couldn't be closer to each other. 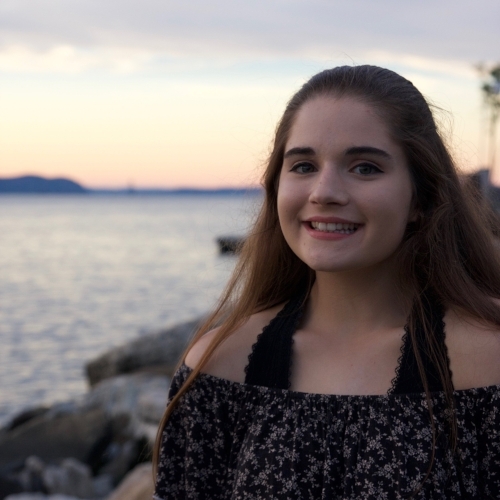 Saya is a 17-year old singer/songwriter from Scarsdale, New York. She began writing songs at 11, and taught herself guitar at 12. Influenced by Taylor Swift, Ed Sheeran, Maroon 5, Fleetwood Mac, and Joni Mitchell, Saya’s songs range from soft folk ballads to empowering pop-rock anthems. In 2016, her song “Cruel World” placed her as a finalist in the American Songwriting Awards. In New York, she has performed at venues such as The Bitter End, Sidewalk Café, Purpl, and 12 Grapes among others. She will be attending Berklee College of Music this fall.